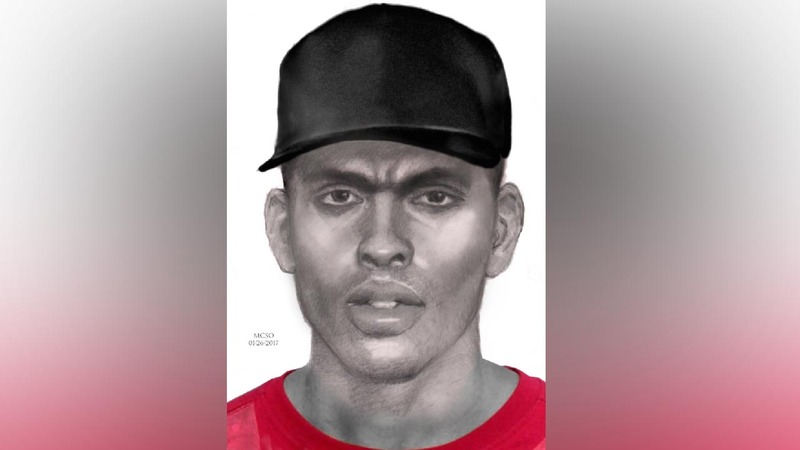 THE WOODLANDS, Texas (KTRK) -- Police have released a sketch of a man who they say attacked a woman on a jogging trail in The Woodlands. Catalina Humphrey said she was walking her Rottweiler Hercules on a jogging trail along Sawmill Road near her home Saturday afternoon, when a man came up from behind and tried to attack her. Before she could react, Hercules pinned the man to the ground and bit him. "The minute that he ran, I saw blood on the ground," said Humphrey. A woman's dog pins an attacker who grabbed her from behind.